The Bank of Luxembourg has issued a bimetallic currency with an unconventional form, dedicated to the "Viaden Hydroelectric Power Plant". This piece corresponds to a series called "Extraordinary Buildings in Luxembourg". 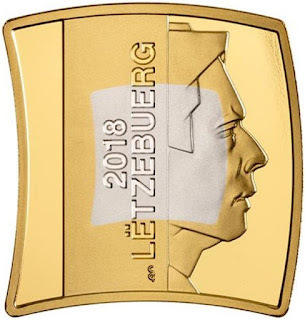 Coined by the Polish Mennika Polska in Proof quality on an alloy of Nordic gold and 925 silver it has an emission volume of only 2,500 units. 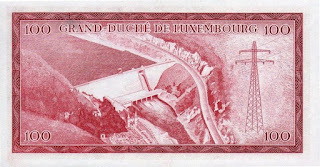 The reverse of the coin shows an image of the upper reservoir and the surroundings of this hydroelectric pumping station. 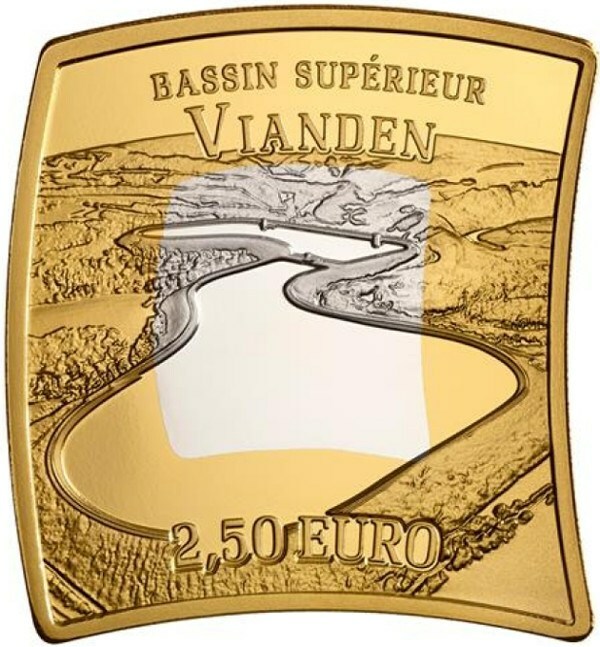 In the upper part the text "Bassin Supérieur Viaden" (Upper Viaden Basin) is shown and in the lower part its face value (2.50 euro). The obverse shows us the image of an old acquaintance for those who collect euros, Grand Duke Enrique, the name of the issuing country, Luxembourg, and the year of issue, 2018. The Vianden power plant was considered at that time so important that it was represented on the old Luxembourg note of 100 francs of 1963.